Levon Der Bedrossian opened La Méditeranée Berkeley with his cousin Garbis Baghdassarian in 1982. 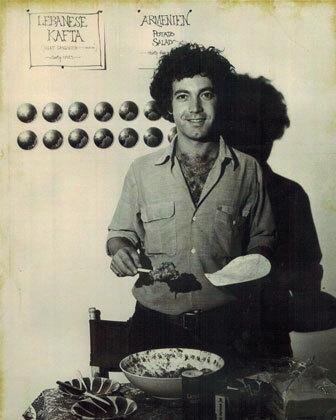 After finding success with his two San Francisco locations (Fillmore in 1979 and Noe in 1981), chef Levon thought that Berkeley seemed the perfect place to bring his signature Mid-East and Mediterranean Meza dishes, inspired by his Armenian and Lebanese family recipes. 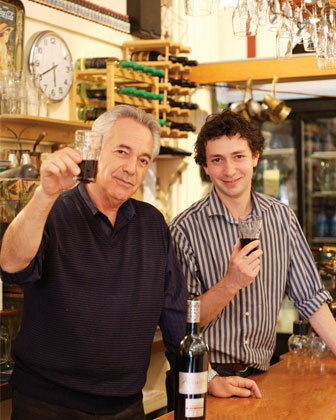 Serving award winning hummos, baba ghanoush, chicken cilicia fillos, and kebabs, all made from scratch daily, the restaurant quickly became a local favorite. 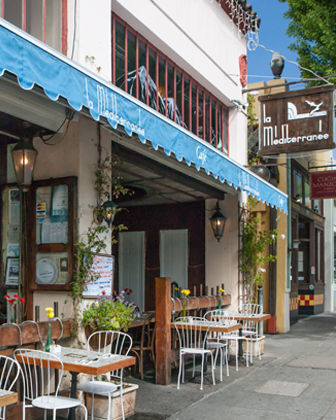 Over the years, “Cafe La Med” began to also offer catering delivery and pickup, as well as a popular weekend brunch. Grabbing a table on their large heated outdoor patio became a weekend tradition for generations of family and student diners. Together with a team of veteran cooks and servers, “Cafe La Med” became known for it’s commitment to serving good food, in a pleasant and relaxed environment, at reasonable prices, with warm and friendly service. Each dish is made from scratch daily under the supervision of Levon’s son and company Executive Chef Vanick Der Bedrossian. After Garbis’ retirement in 2018, Levon and Vanick brought long term San Francisco manager, Alicia Vanden Heuvel, to the Berkeley team. Hiring Lori Frank (formerly of the Park Cafe Group) as new front of house manager, La Méditeranée Berkeley begins a new chapter in service! 2019 begins a new year with a modest remodel and with the introduction of some of Vanick’s exciting new dishes, such as Falafel, Chicken Shawerma and weekend brunch Shakshuka (Middle Eastern egg dish) long popularized at the SF locations.